1) I learned a lot about leadership and perseverance on this trip. The first night we were there was, to be quite honest, a disaster. So many things had gone wrong throughout the evening after our arrival, capped off by arriving to our sleeping quarters, exhausted, to find them crawling with cockroaches. I will always remember that dark and desperate feeling on that first night, staring up at the ceiling from my sleeping bag, unable to sleep, and wishing I was somewhere else. It was one of the most unpleasant moments I can remember having for a long time. Not because of the physical discomfort, but because of the feelings of shame and failure it aroused in me as a leader. The old accusations came roaring back: “this trip is a joke;” “everyone regrets coming;” “why did you think you could do this?” My tendency is to internalize problems, and so difficult situations like this one can cause me to retreat and hide from others because I feel shame. By the grace of God, this time I moved toward people rather than away from them. (It helped that we had an absolutely fantastic team.) I got out of bed and talked with those still awake, and then the next day we had a meeting and talked through what we were experiencing. Instead of trying to downplay the problem, we talked openly about how bad the situation was, and then tried to work toward some practical solutions. I told everyone that even I was having a really hard time, but I would doing everything in my power to make the trip better. 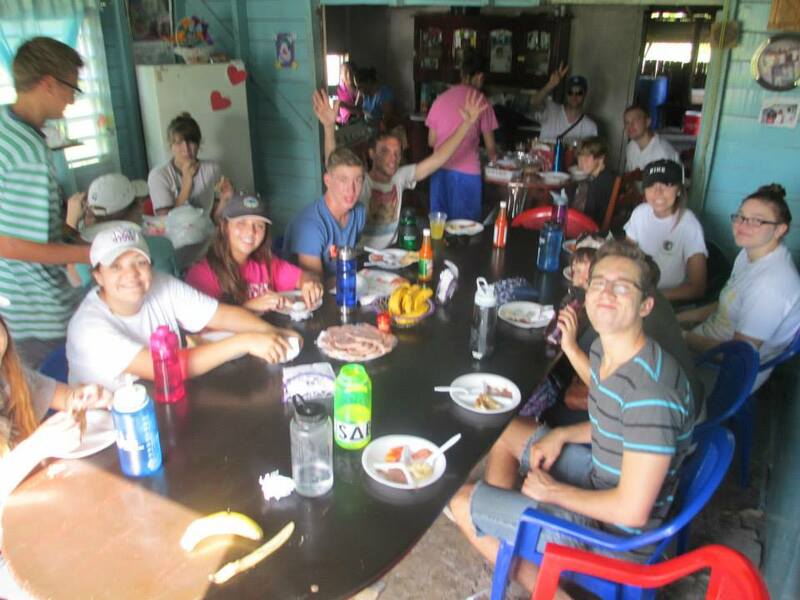 A switch in our housing situation, better sleep, and getting into our program caused the trip to quickly improve. Within 24 hours most of us were able to laugh about that terrible first night. By the end of the trip we were crying because we didn’t want to leave! It ended up being an amazing trip, I think for everyone who went. But we never would have experienced it all if we hadn’t persevered through that first night. What I learned was: leadership requires honesty about problems. Sometimes when we are in a leadership role we don’t want to talk about problems. Its vulnerable. Its uncomfortable. Maybe it seems like it would only make things worse by drawing attention to them. It might even feel personally threatening, if we think the problems reflect on us. But if we want to work toward solutions, we have to be willing to talk about how bad the problems really are. In order to lead, we have to bring problems into the light in an open, vulnerable way. And in order to do that, we have to disassociate our identity from our ministry. In other words, we need the gospel! Only when we are freed from the fear of failure can we truly work toward success. Jesus, let us be fearless by finding our identity in you, the One who faced the ultimate Failure for us. 2) It was so meaningful to build relationships with pastors in a different cultural setting. Seeing ministry through their eyes helps me understand ministry better. In particular, I feel that I saw the importance of boldness in evangelism and preaching, in some ways for the first time. Boldness was a consistent and hallmark characteristic of apostolic preaching (Acts 4:29, Ephesians 6:19-20). Because boldness does not come as naturally to me, I need to trust the Holy Spirit to give me a boldness in my preaching that can only come from Him. 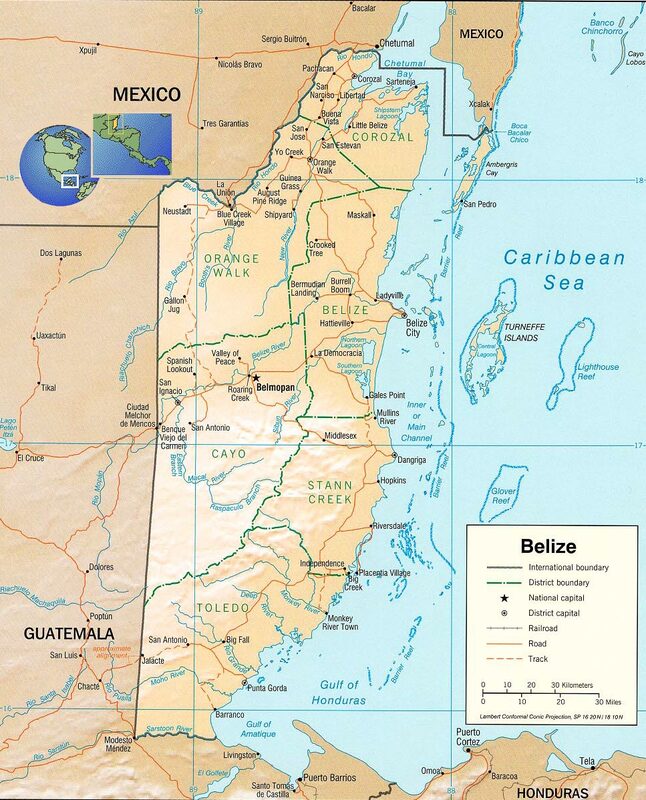 Being in Belize, and preaching in situations that required great boldness, exposed my need to grow in this area. I also need to be open to how God opens doors for evangelistic conversations. We spent a lot of time walking around the village, knocking on peoples’ doors, and then talking about Jesus. I don’t think that approach works in the States as well as it does there, but seeing God genuinely show up in a few of those conversations reminds me how much God can use our everyday conversations with strangers. That kind of evangelism is not easy for me, but I want to trust God in those conversations, push through the initial awkwardness, and be open to what He wants to say through me to another person. Oh God, let me never limit you to mere “friendship evangelism.” Let me see you and see ministry in all things, even when I’m checking out at the grocery store or walking around in my neighborhood. It was also encouraging to see and feel how truly international and trans-cultural the cause of Christ is. What we are a part of here in the USA is vitally connected to something God is doing all over the world. We are just one tiny corner of a massive cause, the great cause and goal of all history. Its so encouraging to be reminded of the size and weight of our cause! I will always pray for those brothers, those dear pastors who work the sugar cane fields all day and then come back to pastor their churches for zero salary. And for some reason ministering alongside them made me more excited about being a pastor. Amidst all the cultural differences, I feel one with them in heart. 3) The trip made me reflect on the nature of happiness, in at least three ways. First, being in almost constant physical discomfort for a week due to the heat and humidity (which was brutal) makes me so much more grateful for all that I have. Yesterday I had such joy at simple things like a walk in my neighborhood, a clean bed, and not sweating immediately after my shower. I want to live a life of moderation, not excess, not only so that I can be generous in giving to others, but also so that I can enjoy physical comforts as God intended, rather than simply take them for granted and then think about other things. It seems that we won’t truly enjoy all that we have unless we are intentional to fast from it for little spurts of time. Absence reveals affection. Second, It was refreshing to be away from technology, and especially my phone. The trip made me reflect on how to be more disciplined in my use of technology. I think I’m going to start turning my phone off at social events in order to be able to truly push forward in conversation with people and not be distracted or give up too easily. We had such good conversations around meal times because there were no cell phones to distract us! Its a simple thing, but it really made a difference. We all noticed it. Finally, seeing how happy and content the people in our village were amidst their poverty reminded me of how little happiness is bound up with money. I was happier during this trip than I have been in a long time, even amidst the physical discomfort, because of the feeling of genuinely living in community. Oh God, make me rich in friends, not money. Friends make us way happier than money. No contest. 4) The greatest blessing of the trip by far was being a part of the team. I was so filled with pride over them. They blew me away with their hard work, positive attitude, and perseverance through difficulty. I can’t say enough about them. And it filled me joy to belong to a community in that way. I think sometimes in my life here, with all my busy schedule, I can get lonely without even realizing it. Lingering in conversation with these friends after meal times was so joyful and meaningful (this is us after a meal). The laughter, the sense of belonging and togetherness, and the stimulating conversation gave me a little taste of heaven. I have to admit that I needed that, and its come to be missing a bit in my schedule here. I’m going to seek that out that kind of community more in my life here in the States. And I hope I can get together with these friends again soon. I don’t think they know all that they mean to me. I’m SO glad to hear you all had a great time, Gavin and Company! I’m so sorry I wasn’t there on Sunday to wish you all a good trip, but I’m glad everything worked out okay (for the most part). I can’t wait to talk to you guys about this this Sunday, and I’ve got a story or two to share as well.